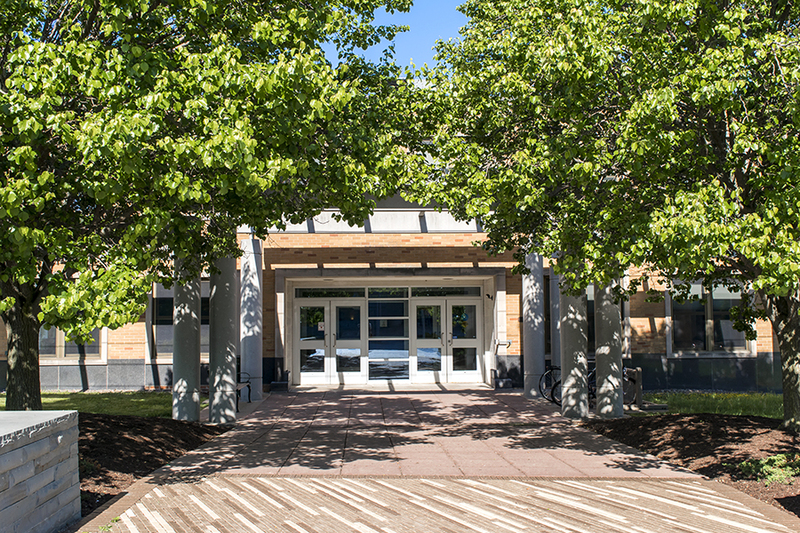 Poucher Hall is located in the Marano Campus Center, in the eastern section of the complex. From the time of its dedication in 1963 until the completion of the campus center, Poucher was known as the Poucher Complex. Poucher Hall is home to the English, Modern Languages, and Literature Departments, as well as the Office of Learning Services. The building was dedicated in honor of Isaac B. Poucher, who served as the principal of the college 1897-1913, and his wife, Matilda Cooper Poucher, a teacher at the school from 1831 to 1886. Isaac Poucher, who previously served under Sheldon, continued to lead the school in a positive direction, earning the school a gold medal in scholastic excellence at Paris’ Exposition Universelle Internationale in 1900. Matilda Poucher led an exemplary career in her own right, serving as a teacher of literature for 15 years. She also served as the right-hand to Sheldon, stepping in temporarily when Sheldon fell ill.